I’m selling one of my personal cross bikes. It’s about 4 years old. 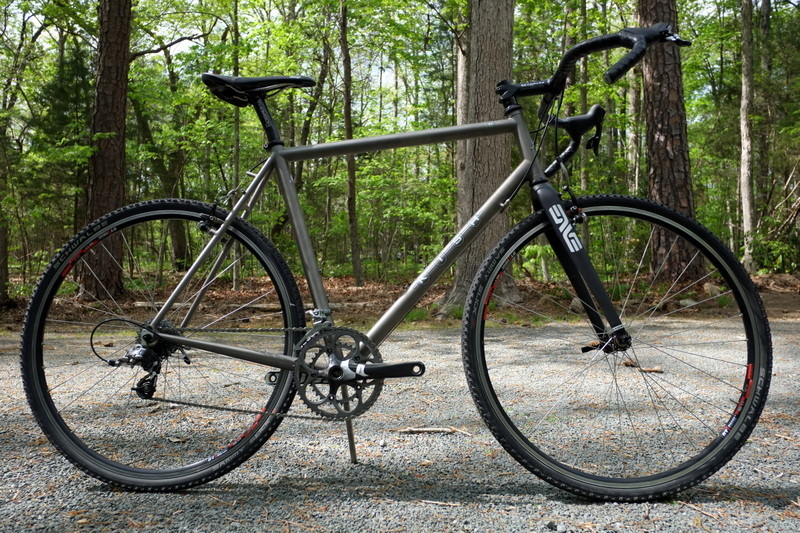 Standard titanium frame, Enve CX fork, White Industries/DT wheelset, Paul brakes, Sram Force 10 drivetrain. Very good condition. As I am terminally over-equipped and under-skilled, this bike has very low miles on it. 18.5 lbs. Does just fine as a road bike, too, which is what I used it for, mostly. It even has rack mounts! Call or email for details! Do you have a full geo on the frame? HT and ST angles? Updated the original post, let me know what else you need.